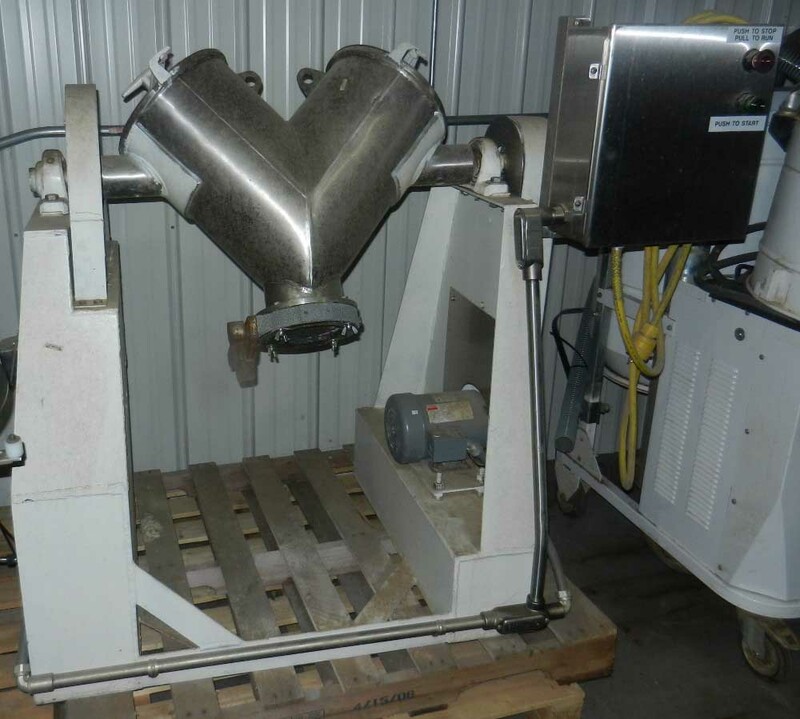 Used 1 Cubic Foot Stainless Steel Twin Shell V Blender. Features: Butterfly discharge and Stainless covers, on Steel frame with stainless starter box. Electrics: 3/4 hp main drive and Bar drive 3PH/60Hz/230-460Volts. Delivery Time: approx 1-2 weeks.